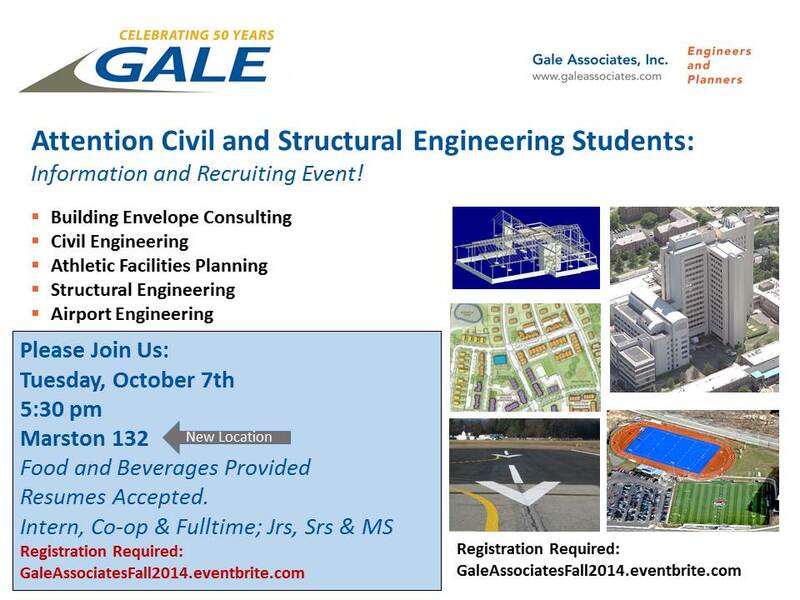 Gale Associates engineers will be here recruiting Civil Engineering juniors, seniors and MS students for spring semester co-ops, summer internships and fulltime positions. Gale is an engineering/planning firm headquartered south of Boston in Weymouth, MA. They provide civil, structural and aviation engineering services and are experts in the repair, rehabilitation and adaptive reuse of the building envelope system (roofs, walls, windows) and service clients in both the public and private sectors.